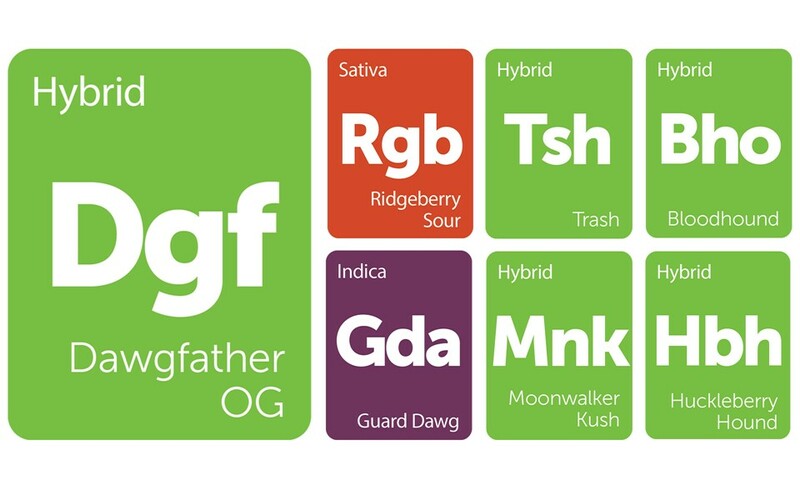 This week’s New Strains Alert is for all my dawgs running wild all over the world. This pack of feral beasts trots the Chemdawg continuum and marks its territory with the chemical essence the genetic parentage is known for. We've also added Trash, Moonwalker Kush, and Ridge Berry to give these hounds a few activities to get into. Round up your dawgs and spark up — these strains are howlers! Bloodhound is the obscure cross of Huckleberry Hound and Guard Dawg (by RedEyed Genetics). This genetic coupling was motivated by the desire to preserve the beautiful foliage and tartness of Huckleberry Hound while co-opting Guard Dawg’s potency. With a decent yield and THC percentage upwards of 24%, this strain smells of tart fruit intermixed with an earthy chocolate fondue flavor. Huckleberry Hound is an obscure hybrid that has alleged roots in Blueberry and Chemdawg families. With notes of berry intermixed with a palatable melange of chemicals, this flower's bouquet is challenging but worthwhile. 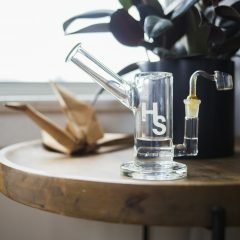 Expect airy body effects that take on more weight with time and cerebral effects that remind many of a href="https://www.leafly.ca/sativa/sour-diesel" >Sour Diesel’s type of mental stimuli. 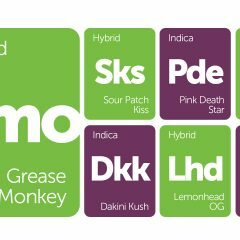 Most Chemdawg lineage is potent, so be aware, as this strain is a howler. Guard Dawg is an indica-dominant phenotype bred by RedEyed Genetics. This flower’s genetic parentage is a combination of Abusive OG and TreStardawg. The plant smells of its OG heritage with overtones of caramel and coffee bean. But watch out! 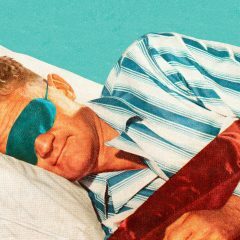 This strain packs a wallop and is recommended for nighttime use only. Moonwalker Kush is a balanced indica-dominant hybrid that is the genetic cross of Triple OG and Tahoe Alien. This odoriferous combination speaks volumes through its scent, which is thick with soured earth and a hint of pepper on the finish. The herbaceous terpene profile aligns nicely with this strain’s intense relaxation and moderate cerebral effects. Try Moonwalker Kush after dark to harness the sedative effects nestled below layers of trichomes and brown pistils. Trash is an indica-dominant hybrid that is anything but garbage. This strain crosses Purple Trainwreck against Afghani Hash Plant, blending the mental alertness of Trainwreck with the resin production and deep, earthy aroma native to Afghani genetics. Trash is an ideal smoke for long bouts of video games or other stationary activities. These effects also lend themselves to patients suffering from chronic pain and nausea.